A University of Houston College of Pharmacy scientist has been named a Fellow of the National Academy of Inventors in recognition of his work in drug discovery and development. Ruiwen Zhang, M.D., Ph.D. and Robert L. Boblitt Endowed Professor in Drug Discovery and director of the UH Drug Discovery Institute, is one of 148 new Fellows announced today. The induction ceremony for the new class of Fellows will be held at the NAI Eighth Annual Meeting at Space Center Houston in April 2019. With over 30 years of experience, Zhang, a board-certified toxicologist and Fellow of the American Association for the Advancement of Science, has been recognized as a leader in cancer prevention and treatment drug discovery and development. 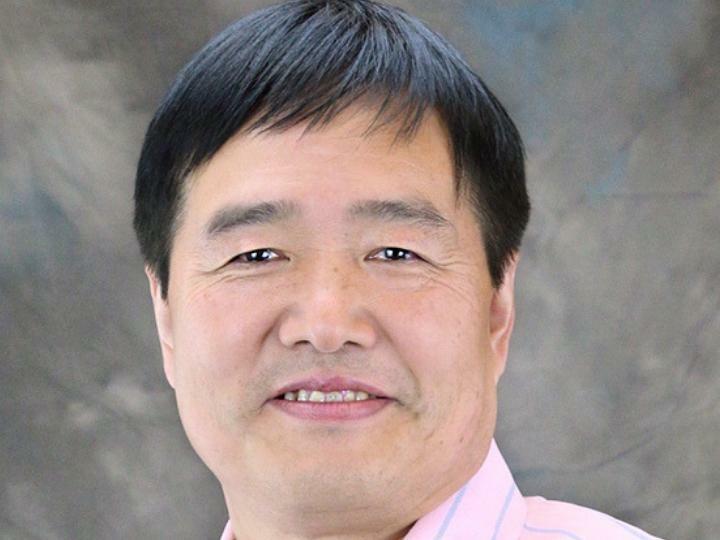 Zhang has made major contributions to the discovery of pharmacogenetic/pharmacogenomic syndrome of dihydropyrimidine dehydrogenase (DPD), the rate-limiting enzyme in 5-fluorouracil (5-FU), one of most used anticancer agents in the world. This discovery is now a textbook case in cancer pharmacogenomics and personalized cancer medicine. Pharmacogenomic approaches to prevention of 5-FU toxicity have been developed and now benefit many cancer patients worldwide. Zhang is one of the leading scientists developing novel gene silencing technologies using antisense technology and discovering RNA and DNA-based therapeutics. He has made major contributions to the antisense and siRNA therapeutics targeting oncogenes, HIV and other therapeutic targets. He is the first to discover and develop new antisense RNA-DNA oligonucleotides for HIV, oncogenes, and Toll-like Receptor immunomodulators (these agents have entered clinical trials). He is the first to discover a new approach to orally deliver RNA/DNA oligonucleotides therapeutics for the treatment of human diseases, now recognized as a basis for development of oral DNA/RNA drugs/vaccines for prevention and treatment of diseases. He has made significant contributions to fundamental understanding of the tumor suppressor p53, the most important and most-studied tumor suppressor, and MDM2, one of the major oncogenes and a p53 negative regulator. Zhang is among the first proposing MDM2 as a molecular target for cancer prevention and therapy. His lab has discovered six classes of MDM2 inhibitors, including DNA-RNA oligonucleotides, natural products and synthetic small molecule compounds. Election to NAI Fellow status “is the highest professional distinction accorded solely to academic inventors who have demonstrated a prolific spirit of innovation in creating or facilitating outstanding inventions that have made a tangible impact on quality of life, economic development, and the welfare of society.” With the induction of the 2018 class, the program has more than 1,000 Fellows worldwide. Richard Willson, Huffington-Woestemeyer Professor of Chemical and Biomolecular Engineering, professor of biochemical and biophysical sciences.